Square Enix has revealed the newest character coming to Dissidia Final Fantasy, and it’s a bit of a curveball. The latest fighter is not only an antagonist, but he’s an antagonist from the MMO Final Fantasy XIV. 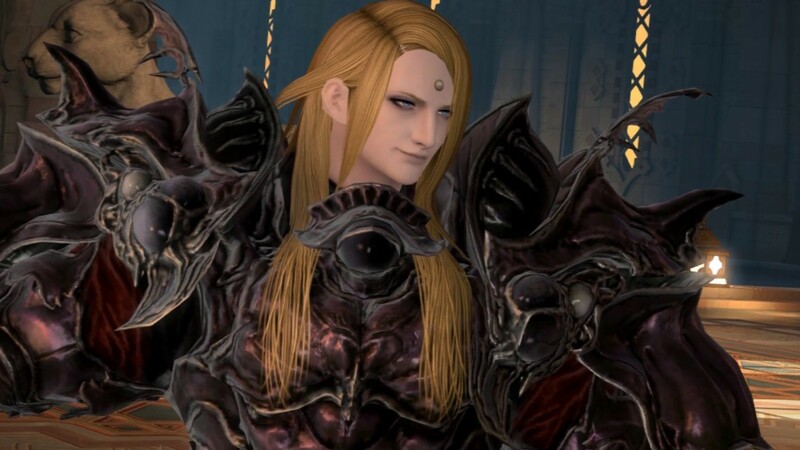 Zenos yae Galvus has been announced as the next addition to the roster. While he will be available in the arcade version as soon as March 26, 2019, he can be downloaded for the PlayStation 4 on April 11th. Zenos is the second Final Fantasy XIV character to join Dissidia Final Fantasy NT, following Y’Shtola, who is a starting character. He is the main antagonist of Stormblood, the MMO’s latest expansion. The next expansion, Shadowbringers, which launches in Summer 2019, brings a host of new changes. In addition to two new playable races, it will also introduce new jobs like the Dancer. As of now, more information, such as a second season pass, has not been announced. Zenos is the first fighter that’s outside of the original season pass, and there are certainly enough characters to that can make up a season pass. However, as of right now, Zenos looks to be simply a standalone character. Square Enix has definitely been actively supporting Dissidia Final Fantasy NT since its release on the PlayStation 4 back in 2018. Not only are more characters continuously being added, but a free-to-play version just went live. While only a selection of characters can be utilized in that version, others, including Zenos, can be purchased for use separately. Dissidia Final Fantasy NT is available now on the PlayStation 4 and PC. Zenos will be available to download beginning April 11, 2019. Are you excited to play as Zenos? Or is there a different character you would’ve liked to see? Let us know your thoughts on the announcement below!